LOS ANGELES -- The bed where Michael Jackson took his last breath is up for sale. The queen-size piece is among hundreds of items from the Holmby Hills mansion where Jackson spent his final days that are set to hit the auction block next month. "We want to preserve the history of these items," said celebrity auctioneer Darren Julien, president of Julien's Auctions, which will sell the various antique furnishings, paintings and sculptures that surrounded the King of Pop as he prepared for a series of comeback concerts. The North Carolwood Drive home where Jackson lived with his three children from December 2008 until his death on June 25, 2009, is separately up for sale. The house and its furnishings were leased to Jackson while he and his family lived there. A note from one of the children remains on a chalkboard inside the home's sprawling kitchen, where three barstools were lined up against the center island -- a perfect breakfast spot for the kids. "I (heart) Daddy. SMILE, it's for free," the chalk note reads in childlike scrawl. The chalkboard will be sold as-is, and is expected to fetch more than $400. At the very moment on Monday that Dr. Conrad Murray was convicted of involuntary manslaughter in Jackson's death, reporters were eerily taking a private preview tour of the three-story home where the pop star lived and died. The bedroom shown in evidence photos at Murray's criminal trial was actually considered a "medication room" by the Jackson team. Murray was found guilty of supplying an insomnia-plagued Jackson with the powerful operating-room anesthetic propofol to help him sleep as he rehearsed for his comeback. Jackson maintained an adjacent bedroom that he regarded as his inner sanctum -- a private place only for him. It is in this second bedroom that the pop star wrote a message to himself on the mirror of an antique armoire. "TRAIN, perfection, March April. FULL OUT May," it reads. Jackson was to begin his London concert run in July. His private bedroom included a bathroom larger than most living rooms and two massive walk-in closets. Among the items for sale in the medication room, where evidence was collected for Murray's trial, are upholstered chairs smudged with Jackson's makeup and Jackson's death bed, which looks out to an expansive backyard surrounded by tall trees. The yard is anchored by a large swimming pool and a pool house, where the singer's son Prince carved his name on a beeswax candle. The medication room, on the top floor, leads to another walk-in closet and bathroom, where Jackson's makeup still remains on a small silk-covered stool beneath the vanity. Curving staircases on each side of the mansion's most famous room lead down to the kitchen and the elegant foyer, where a grand piano sits topped with crystal candlesticks. The home and its décor are reminiscent of Neverland Ranch, Jackson's famous estate near Santa Barbara, said Martin J. Nolan, executive director of Julien's Auctions. "He loved it because it was like Neverland," Nolan said. "It was a very happy place where he spent his final days." Julien's Auctions sold collectibles from the Neverland Ranch in April of 2009. Like Neverland, the Carolwood house features its own movie theater -- this one outfitted entirely in burgundy velvet with loveseat-style sofas and a fresco of a cloud-dotted sky on the ceiling. 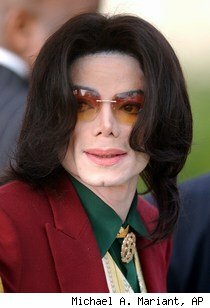 Katherine Jackson's attorney, Perry Sanders Jr., said he is aware of the Carolwood auction and has "done everything we can to ascertain that items from this address are not being auctioned using Michael's name and likeness to enhance the items' value." Built in 2000 and designed by architect Richard Landry, the house at 100 North Carolwood Drive looks like a French chateau and is dominated by 18th and 19th century French decor. The walls are lined with various watercolor and acrylic paintings and sculptures fill nooks in the den and family rooms. The 54,885-square-foot home is for sale, but not up for auction. The price was not disclosed but similar homes in the area are listed at $18 million and up. The house has six bedrooms and 10 fireplaces. It also has a wine cellar, fitness center and formal dining and sitting rooms. 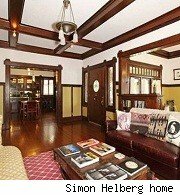 Photos of the house and the items available for sale are featured in a limited-edition auction catalog, which is being sold for $100. 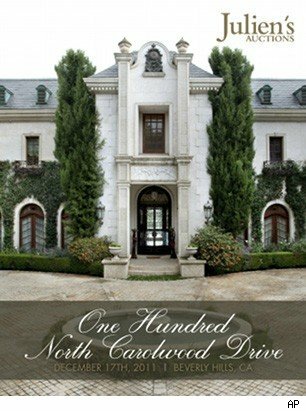 The catalog and auction are carefully titled "100 North Carolwood Drive" and the words "Michael Jackson" are not mentioned in promotional materials. Highlights from the sale will be on view at a free exhibition at Julien's Auctions in Beverly Hills, Calif., beginning Dec. 12. The auction is set for Dec. 17. Celebrity home tours still regularly pass by the property. On the day of Murray's conviction, a tour guide could be heard telling passengers, "This is the home of Michael Jackson, where he passed away." 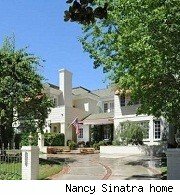 See more celebrity real estate andhomes for sale in L.A.'s Holmby Hills district on AOL Real Estate.